All You Need is Love: Keep An Eye OutIt's Comng! PS. Sorry I kinda flew off the handle! Clicking on the button won't take you anywhere. Now you're free to go check out some other funny Post-Its! can't wait to see your store!! I was hoping USA would win, but I was happy for Canada. 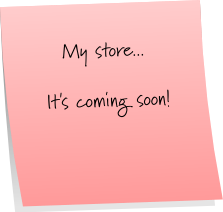 I am coming back to see your store, can't wait!! 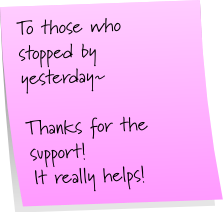 I'm glad you got some support yesterday. We all need that from time to time. My hubby almost puked with Sid scored the winning goal. He seriously can't stand him. I guess that might be because we're diehard Red Wings fans...but I don't know. are you doing etsy? I have had good luck with it so far;) cant wait to see yours. I was a bit disappointed over the game, but I agree at least it was a Red Wing that scored. Good luck with your Etsy shop! 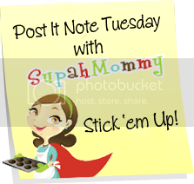 I love finding new shops to browse :) Happy Post It Note Tuesday! love the post-it note thing. I might have to try it!! Don't you hate when you clean and it gets messed up again. Some days it really gets to me other days. Ahh well. LOL Hope you have a great Tuesday. 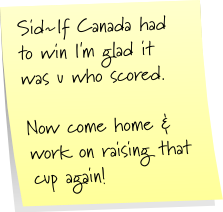 I told my husband the same thing when Sid scored - At least it was someone from OUR team! Oh man it sounds like my house. Can't wait to see the store. I am hosting my Round Robin on 3/12 if you have your store up come by and link up and plug away.. When's the store coming!! I can't wait! Can't wait to see the store!! 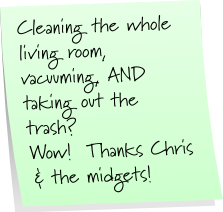 Glad you had some helpers getting the cleaning done!